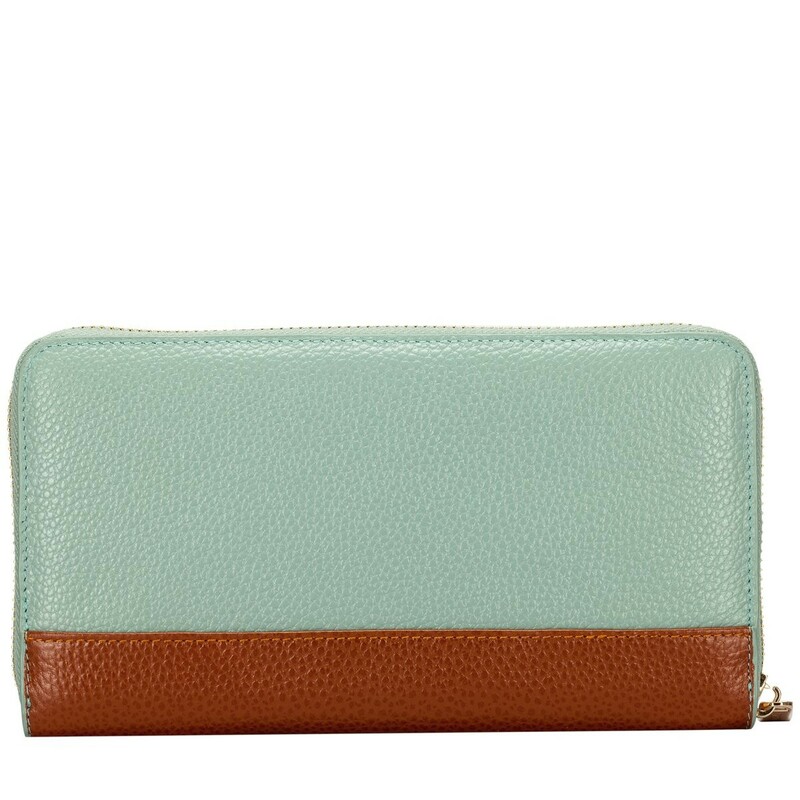 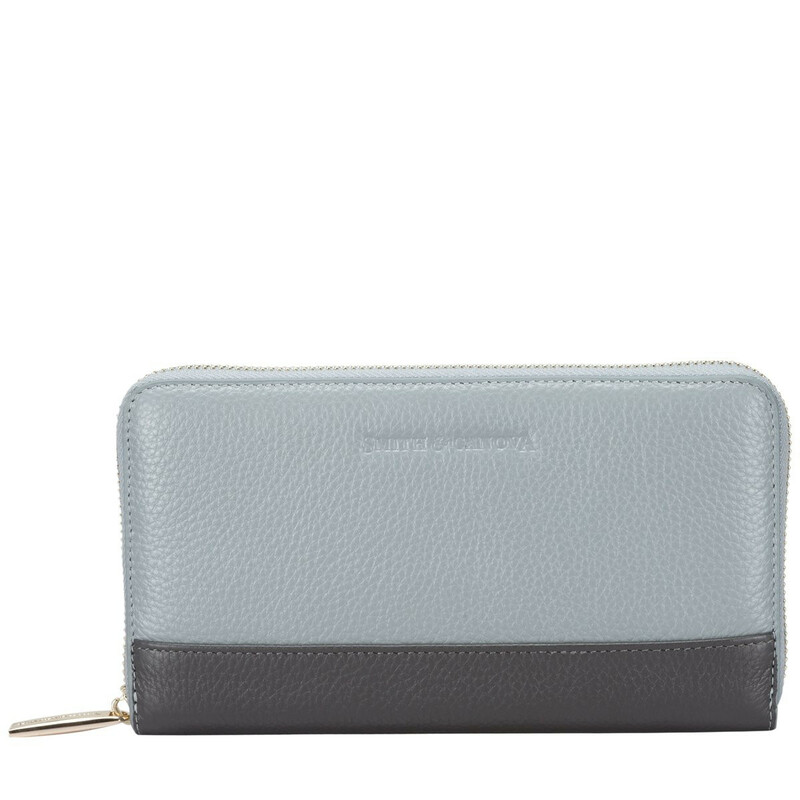 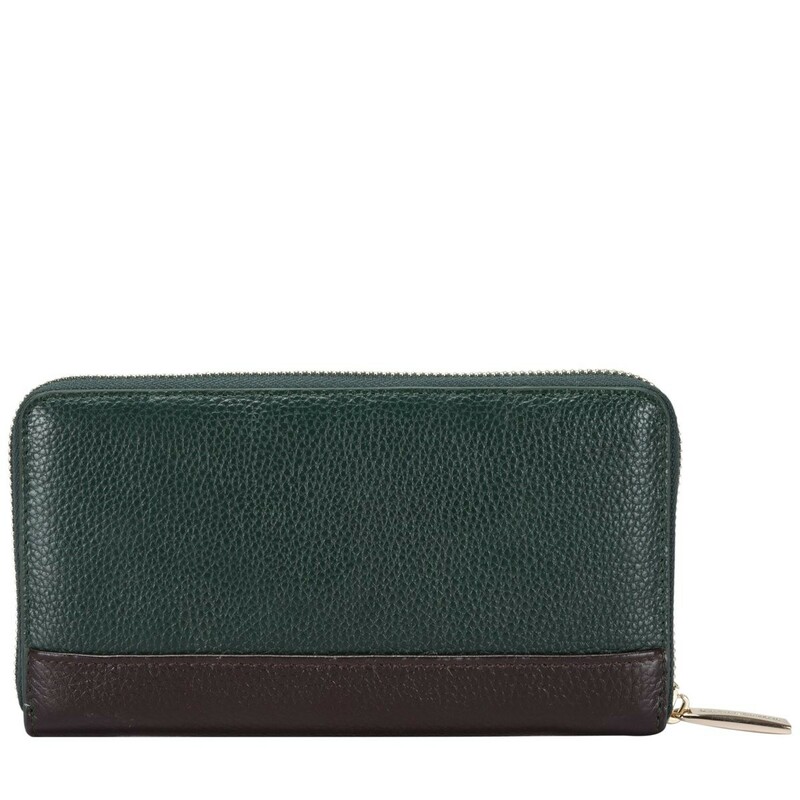 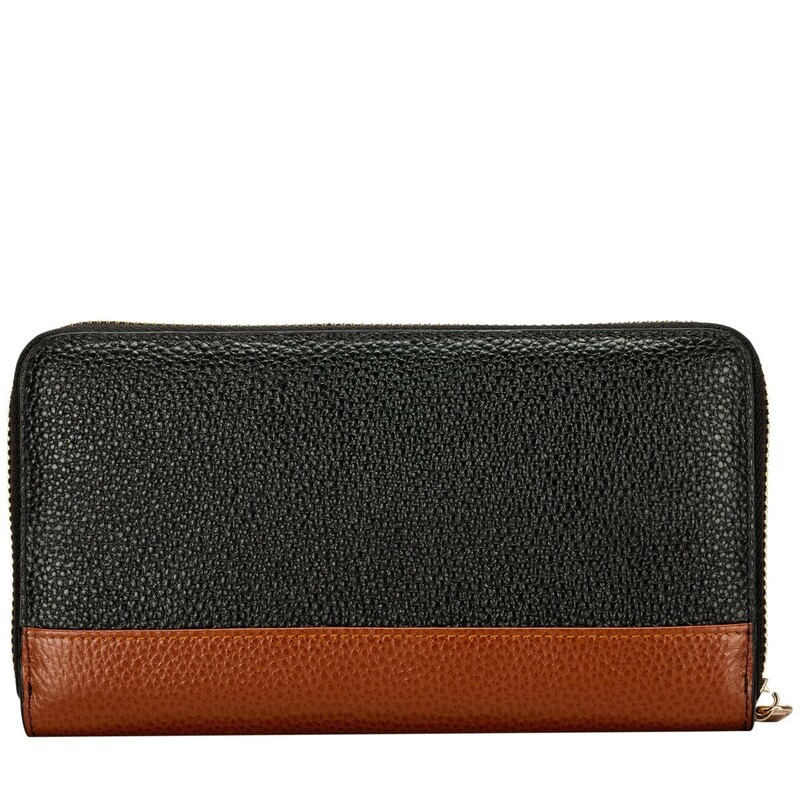 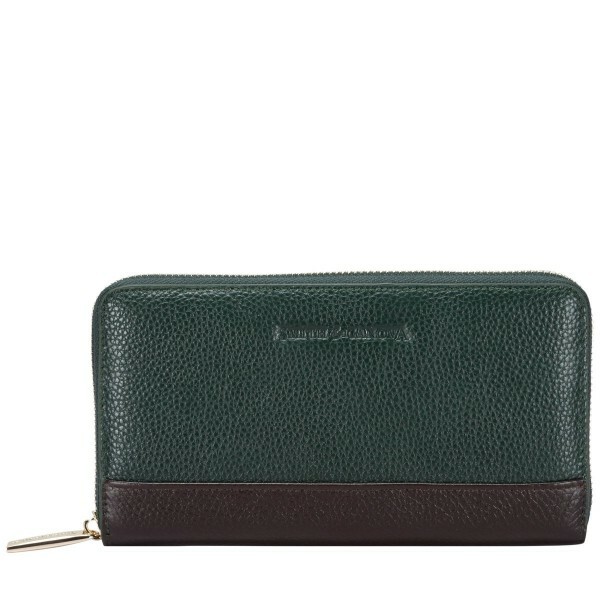 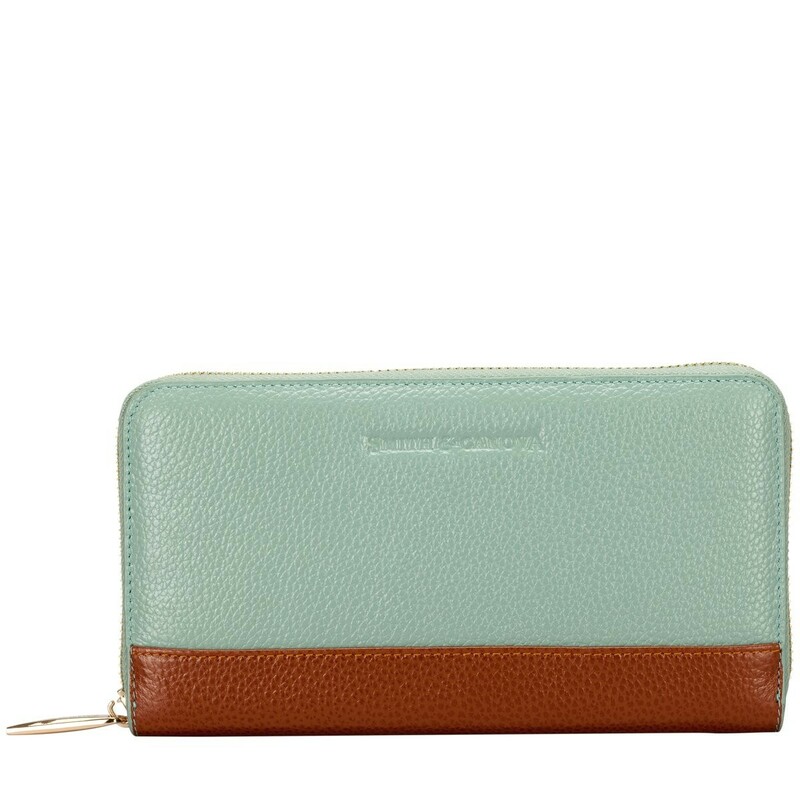 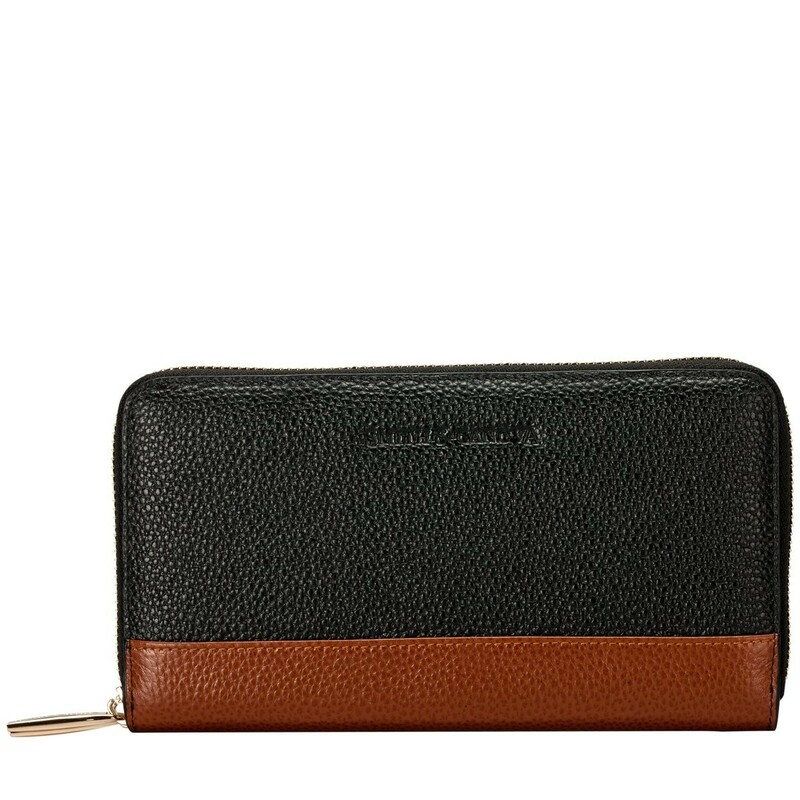 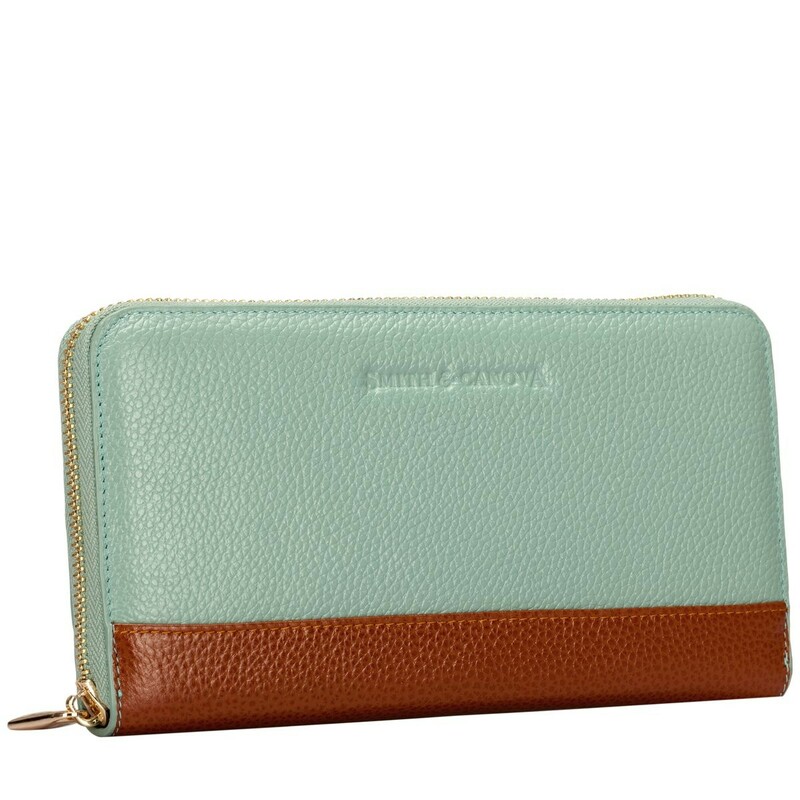 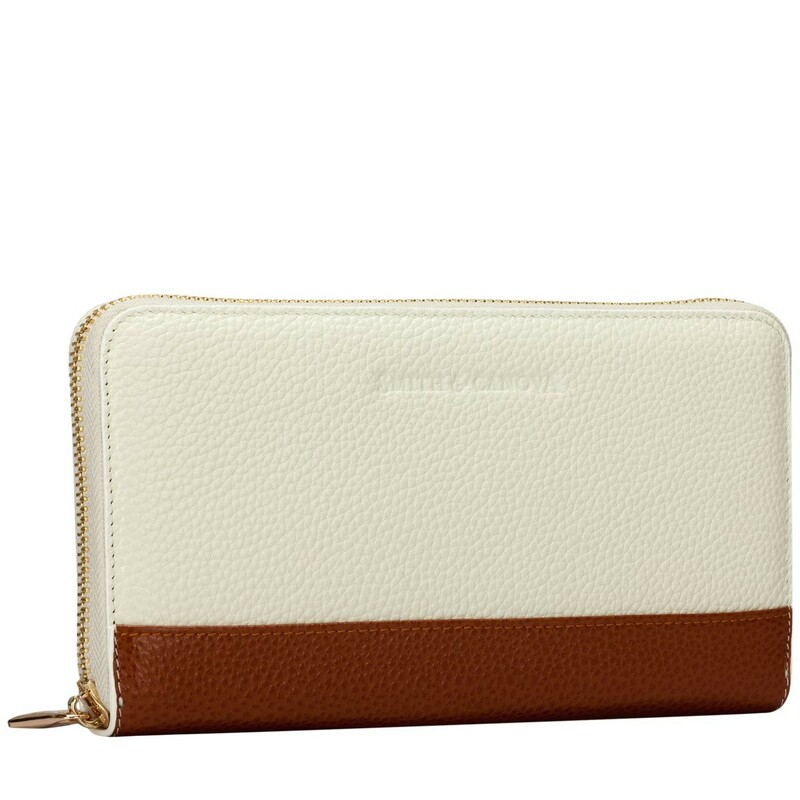 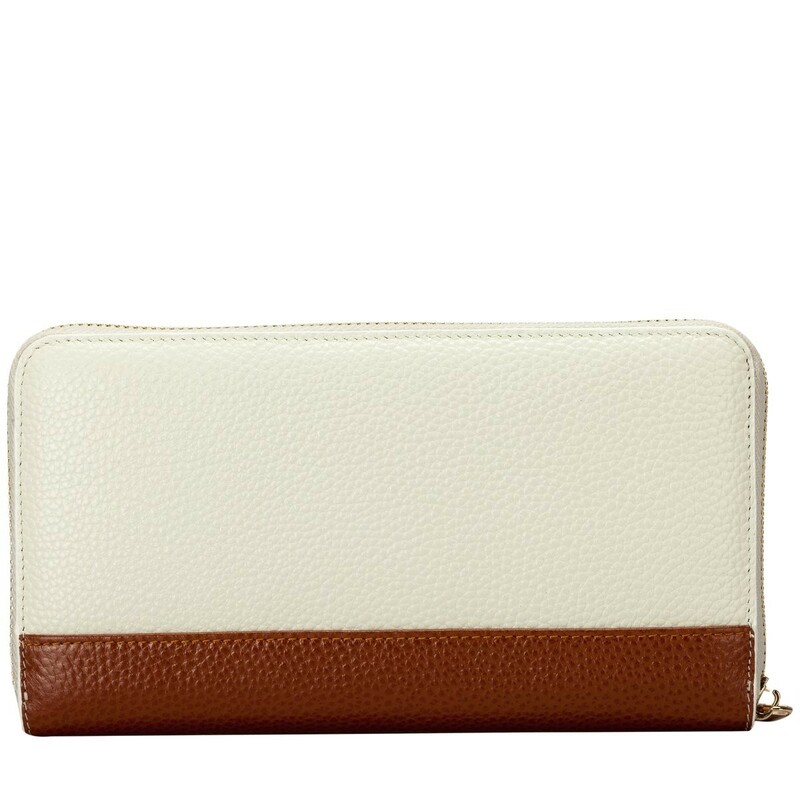 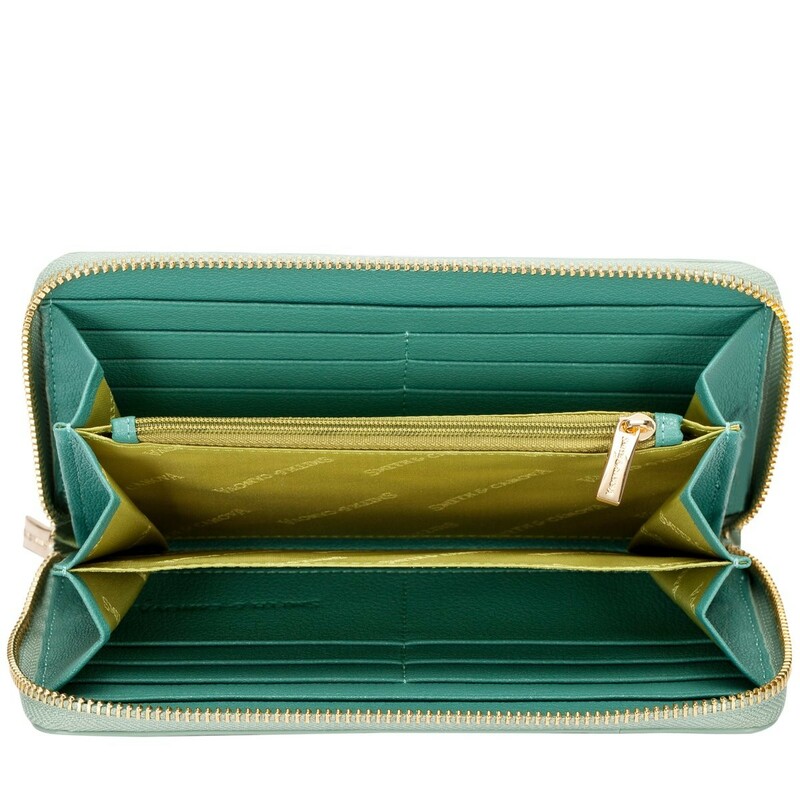 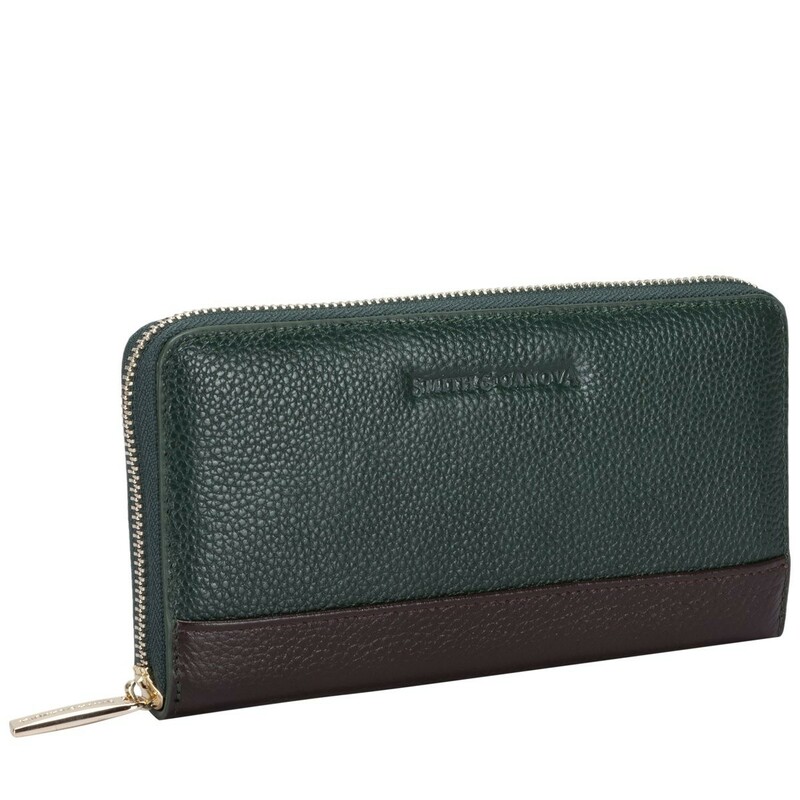 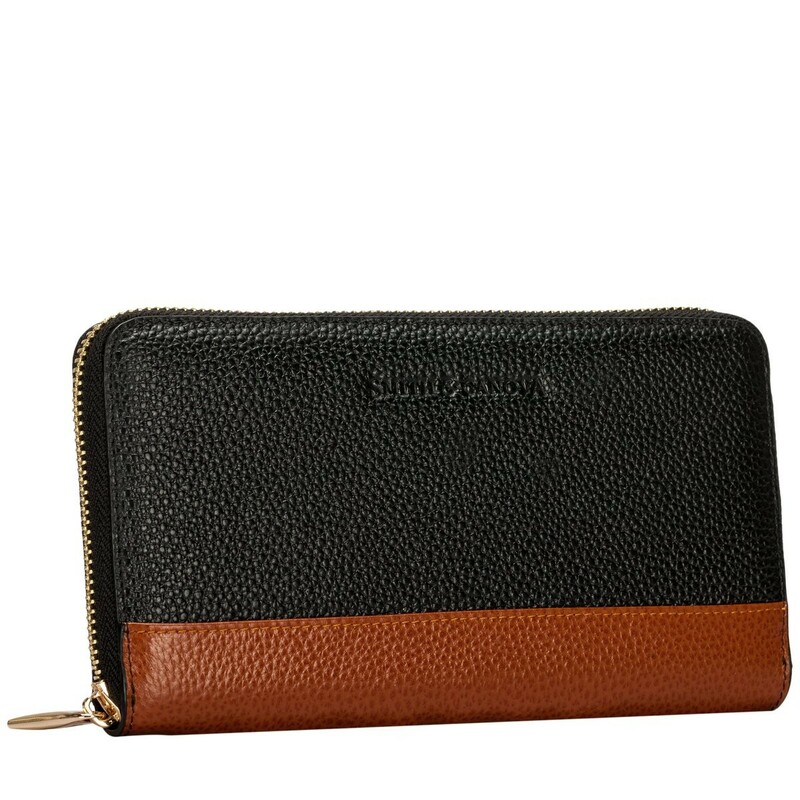 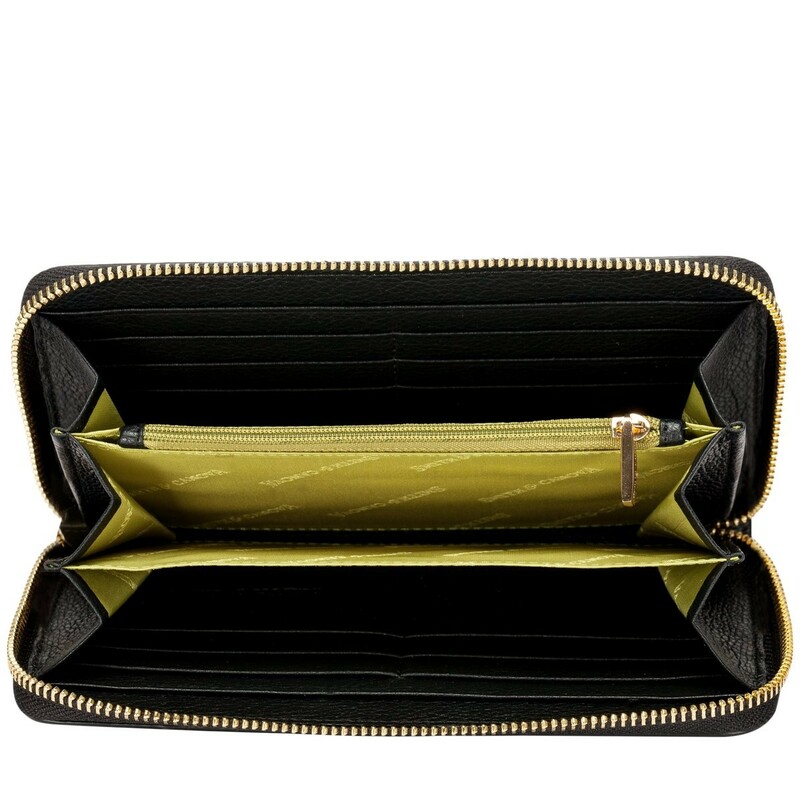 This stylish zip round purse crafted in a soft, pebbled leather is the perfect addition to your handbag. 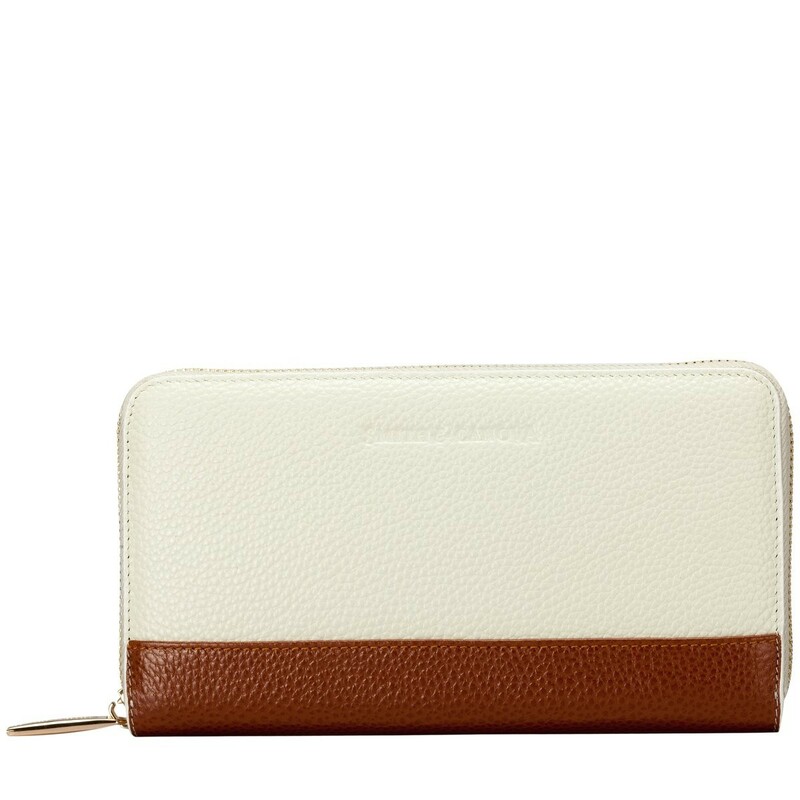 The two-tone leather finish completes the stylish design. 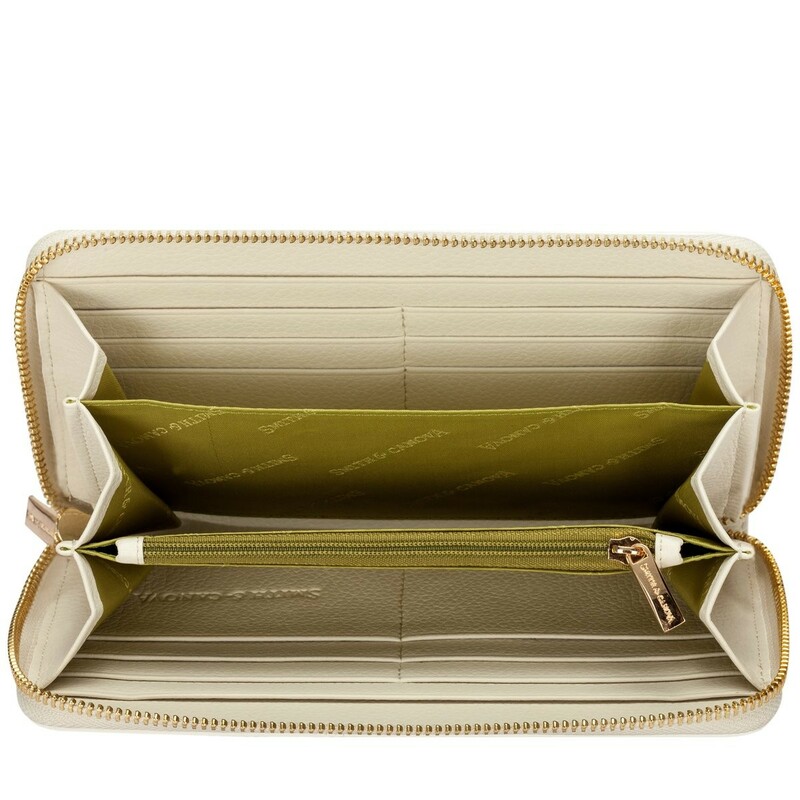 Inside reveals multiple card slots, a zipped coin section and a phone divider section.